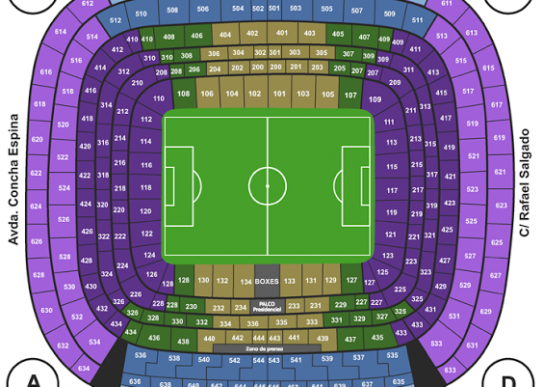 Real Madrid Vs Barcelona Tickets. El Classico. Just hearing the words sends shivers down the spine of football fans across the world. Barcelona and Real Madrid are two of football's most iconic rivals, and the battle between the two giants of Spanish football is watched and enjoyed by over 400 million people across the globe. The upcoming fixture not only carries the immense weight of this rivalry, but also the added spice of potential La Liga glory, with the two sides locked inseparably at the top of the table once again. A win for either side not only ensures bragging rights, but also a huge morale boost and a vital edge in the race for first place. El Classico is a rivalry that truly divides the Spanish public due to the geographical location of the two teams. Madrid play their football in the capital, whilst Barcelona is the heart of Catalonia, a region in Spain that very much consider themselves independent. Both fans bring a zealous and partisan support of their team, and hatred of their rivals. The two clubs also have a huge presence and fan base across the globe, meaning wherever it is shown, you can be sure there will be fans of both sides watching eagerly. Both Real Madrid and Barcelona have a rich and successful history. Madrid, founded in 1902, have won La Liga a record 32 times in their history, as well as 19 Copa del Rey, and 11 Champions Leagues. Much of this incredible dominance occurred many years ago, and shockingly Madrid last won La Liga in the 2011/12 season. In fact, Madrid's successes have been much less frequent in the last few decades, as they have been forced to watch bitter rivals Barcelona dominate more and more. By Madrid standards this drought is unacceptable, and the fans, the board and the players have been itching to reclaim their place atop the summit of Spanish football. Florentino Perez, the club's current president, is in his second spell at the club, and is particularly determined to bring back the club's national dominance. He has splashed the cash on several star players, and appointed Madrid legend Zinedine Zidane as manager in hopes of turning things around. Ronaldo, Bale, and co have once again hit the electrifying form they are known for, and the exciting football on show is matched by a resilience that many believe has been lacking in recent years. This combination has seen Madrid hit the top of the La Liga table, and they will be desperate to hold onto that for the rest of the season. Barcelona, who themselves were founded in 1899, also hold a bulging trophy cabinet, with 24 La Liga titles, 28 Copa del Rey, and 5 Champions Leagues. Whilst Madrid may have found La Liga a difficult mountain to climb in recent times, Barcelona have been an unstoppable force of nature for much of the last few decades, winning titles and trophies year after year in a truly impressive fashion. The style of football they have played over these years has become as iconic as it is effective, with clubs across the globe attempting to emulate the 'tika-taka' style they have made look so easy. Despite the brilliant football and the countless trophies, recent times have bought about a number of controversies. Some of their biggest stars, including Lionel Messi himself, have been caught up in a serious legal battle over tax evasion, whilst issues surrounding the signing of Brazilian superstar Neymar forced the club's president to resign in 2013 and resulted in a transfer embargo being placed on the club. This lead to Josep Maria Bartomeu taking over the role. Under his presidency, and once the embargo was lifted, Barcelona strengthened with a number of key signings, and have sought to put the focus back on the team's on-the-pitch actions once again. Consequently, they have won La Liga for the last two seasons. They are determined to do so again this year, and look to be putting up quite a fight in the defence of their title. Star players Messi, Neymar and Suarez have been in magnificent form, driving the team forward. They also find themselves competing for glory on the European stage, but after a humbling defeat to PSG recently, there is even more emphasis on the club doing well in La Liga. There are a number of interesting parallels between the two clubs that make this rivalry even more exciting. Not only do both frequently rely on their talismanic superstars (Messi and Ronaldo) to put in the performances to carry them onwards, but both are managed by former players. International superstar, and Madrid legend, Zinedine Zidane manages Madrid, with his huge popularity amongst the fans only likely to grow if he can lead his side to La Liga glory. Luis Enrique is the man currently managing the stars of Barcelona, and he has the unlikely statistic of playing over 150 games for both Madrid and Barcelona. His time at Barcelona cemented him as a fan favourite despite his past allegiances, and his success as a manager there has only furthered that adoration. Enrique will likely be preparing himself for a hostile atmosphere as he brings his side back to the Santiago Bernabeu Stadium on April 23rd , but this will be unlikely to deter the man looking to claim yet another trophy. The two rivals have already met once this season, drawing 1-1 in December. Barcelona were the home team that day, and looked set to be heading away with all three points until Madrid defender Sergio Ramos headed in a 90th minute equaliser. The match was a typically fiery affair, but the result was certainly more pleasing for the Madrid fans, as they witnessed a resilient and impressive performance from their team against one of the most potent attacking forces in world football. With the home advantage on the 23rd of April, Madrid will fancy their chances to go one better this time, and drive themselves towards their first La Liga title in 5 years. Regardless of the final score, El Classico is rarely a boring affair, and with so much at stake the two sides will likely serve up another enthralling chapter in this incredible rivalry.